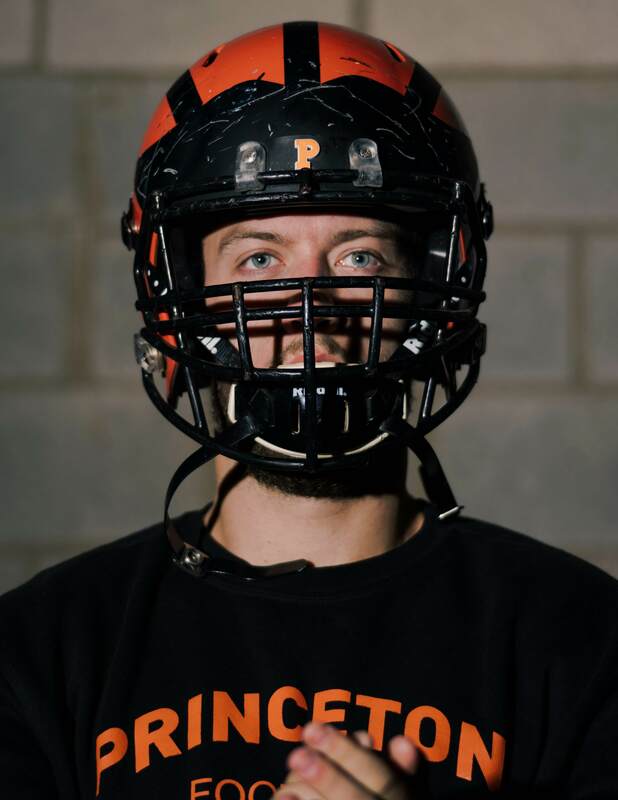 A few weeks before the start of Princeton University Football’s 2015 season, Mason Darrow, a 6’5” 285 pound offensive lineman from Illinois, asked his head coach if they could meet. After a season ending injury as a sophomore, Mason had shown promise in training camp. He was not alone in his belief that he could make a major contribution to the team’s success as an upperclassman. But first he had something he needed to tell Bob Surace. I had great relationships with the staff, but it felt more like a business relationship. Mason had come out as gay to his teammates as a freshman. Bonding as a football unit requires working together extremely intimately and he felt it was best to ground his relationship with his fellow players in honesty. But he hadn’t come out to his coaches yet — and decided now was the time. “I had great relationships with the staff, but it felt more like a business relationship,” he remembers. “I didn’t feel as though I needed to tell them until I had talked to Outsports about doing an interview.” So Mason sat down with Coach Surace. Coach, it turned out, didn’t much care about his sexuality so long as he could keep protecting quarterbacks Chad Kanoff and Johnny Lovett. And Mason performed — becoming the first out player to play in a D1 game and playing every game of the 2015 season. Despite all the media attention that resulted from his coming out, Mason never felt his identity as a gay man had anything to do with his identity as a football player. When he talks about coming out, he talks about the anxiety of the unknown. “I went public after Michael Sam, but I told my teammates long before that,” he says. “Part of it was not knowing how people would react.” But when the Outsports piece finally published he received nothing but support from his squad — and Mason’s sudden notoriety didn’t much change him or his sense of self. He still dressed as a unicorn for Halloween, played in gay kickball leagues, and belted out Beyoncé hits in the shower. He now brings that enthusiasm and drive to the Cleveland Indians, where he recently took a job in business development.